Currently viewing the tag: "profit"
The chief executive of UK Asset Resolution (UKAR), who are winding down the loans of Northern Rock and Bradford & Bingley, affectionately known as “Britain’s Bad Banks”, has warned that thousands of its customers could be pushed back into arrears if there is a rise in Bank of England (BoE) interest rates. UK Asset Resolution (UKAR), seventh-biggest mortgage lender said last week that they had repaid £6.2 Billion (GBP) to the UK Government in the 15 months to the end of March 2014, meaning it had so far paid back £10.4 Billion (GBP) of the £48.7 Billion (GBP) it owed. However, if there is a rate rise it could potentially make it harder for taxpayers to get their money back after bailing out the bad banks. In the week when I have just purchased my first property to flip, the UK Government announced that they are planning to crack down on the profits made by property developers and property investors who flip property. Flipping property is considered by Government to be the process of changing your main residence before selling a property in order to avoid paying capital gains tax (CGT). However, as many property people will tell you, “flipping” is buying a property at one price and reselling it again within a relatively short time frame (6 month rules apply) at a higher price, whether you have done any work to improve the property or not. UK Property Networking Events Inspire And Motivate Property Investors To Success! As many property investors and landlords already know, building a property business can sometimes be a lonely endeavour, but it doesn’t have to be this way, there are ways to meet new friends who share the same outlook on property as you do. 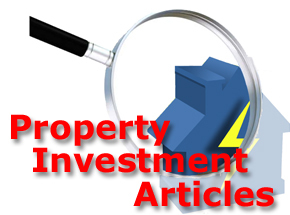 Property investment is not for everyone, and many property people already know that they are in the minority when it comes to professions that are properly understood by the general public, however this does not have to be a deterrent. It is important for all property investors and portfolio landlords to structure their busy schedules in such a way that allows time for meeting with like minded people who you enjoy the company of and making time to join in with activities that bring you deeper understanding of investment strategies currently being utilised by other more successful property people. Rental price increases in many UK regions have slowed according to the latest data gathered by the latest Buy-To-Let Index conducted by LSL Property Services group. The data showed that UK PRS rents increased by 1.5% in the 12 months to December 2013, less than half the 3.2% growth observed in 2012 and on the whole, UK PRS rents fell by 1% in December 2013, (around £8), reducing the average private rental sector rent to £745 (GBP) per calendar month. The largest drop in PRS rental prices was observed in the South East, with rents down 2% since November 2013, rents also fell 1.9% in both London and Wales. Property investors and existing private rented sector landlords are well aware of the need for knowledge and education in order to be able to profit from investing in property and with this in mind, top UK property investment educator, best-selling author of “Property Magic” and founder of the PIN network, Simon Zutshi is holding another of his fantastic No Cost webinars to outline some of the great education and training opportunities available in the UK during 2014. To register for this free webinar TONIGHT at 9pm just Click Here and Simon will email you with the webinar joining instructions. This is a free opportunity, with no pressure to buy anything, although I am sure that we can force Simon to offer an upfront discount on any courses that the PIN network may offer during the course of the year. 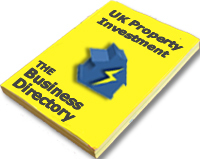 So why is this webinar so important for you as a UK property investor? You may recall that we posted on Spotlight a few days ago about Simon Zutshi holding a very special no cost webinar on Monday 2nd December at 9pm which we will definitely be listening into and we recommend that all property investors should register for as well! Well, Simon Zutshi is highly regarded as one of the top UK property investment experts in the UK, as well as being the founder of the Property Investors Network (PIN), (celebrating its 10th anniversary this month), author of the best-selling book “Property Magic” and he will be sharing, for the very first time outside of his £14,000(GBP) a year Property Mastermind Programme, a brand new tool that he has created to help property investors make money from property lease options. With increasing property prices in many regions of the UK, it really is a great time to be investing time and money into UK property and there are numerous opportunities to be making money from lease options right now, if you can work out exactly how profitable the deals are. The problem is that most property investors just don’t know where to start with lease options, what is more interesting is that many property investors do not know the best way to make any money using lease options even if they can find great deals! This brand new tool has taken a while to develop and Simon is confident that it takes all of the confusion away from using options to take control of and really profit from property. Simon has explained that this brand new tool makes it very easy to work out the most profitable way of structuring any property lease option deal and it is quick and easy to use. All will be explained on the webinar, but places are already filling up fast and numbers are strictly limited to just 500 spaces, so property investors who want access to the same tools used by the top experts need to act quickly. A new study by e.surv chartered surveyors has revealed the top 10 hotspots for property repossessions in the UK, and the results show that property owners in the North are less able to keep up with mortgage repayments than property owners in the South. e.surv’s researchers analysed Ministry of Justice figures for court-ordered repossessions for the 12 months up to 30th June 2013, plus the company’s own data, and found the largest North-South divide since the onset of the financial crisis, with 3.2 repossessions per 1,000 households in the North of England, compared with 2.4 per 1,000 in the South of England. Four of the UK’s top five “repossession hotspots” are in North-West of England according to the data with Chester, Blackpool, Oldham and Wigan among top five property repossession hotspots. These areas are among those with the highest proportion of property owners who are struggling to keep up with mortgage repayments. The data revealed that even despite all the media coverage about surging property prices in and around the capital, two areas within Greater London – Romford (3rd highest number of property repossessions per thousand households) and Croydon came in joint 7th on the repossession hotspot top ten. Chester is the top UK city for property repossessions by a substantial margin, THREE times the national average! The rest of the North-West of England does not fair much better with 8 out of 10 towns having above the national UK average number of property repossessions per thousand households. This news presents an excellent opportunity for new, amateur and seasoned property investors to grab some property bargains as mortgage lenders and banks will be looking to offload these repossessed properties quickly so that they can get their money back, they are not looking to profit! Lancaster, Liverpool and Carlisle in the North of England showed a lower than the average number of property repossessions, according to the data. However, despite being below the national average, Carlisle had seen a 37% increase in the rate of property repossessions in the 12 months to June 2013. There will never be a better time to purchase repossessed properties, there are a great number of deals to be had from the areas listed in the table above. Think of the table as a treasure map, with 10 UK locations offering repossession property deals direct from the banks and mortgage lenders. How to Grow Your Six-figure Business Using Just One Strategy! If you take a closer look at successful businesses, you will notice that almost all of them have CEOs/ MDs who are active on the speaking circuit. If you have ever thought about how to incorporate speaking to other like minded people in your business niche and want to discover how to really make profit from it, even if you have never spoken on a stage before, then you don’t want to miss this. Celia Delaney, International Speaker and speaking coach reveals her ground-breaking system that helped her to achieve a 6-figure income just by adding speaking to her day-to-day business activity. Now Celia has released a brand new video training series that reveals the step by step secrets that you can replicate within your own business niche.